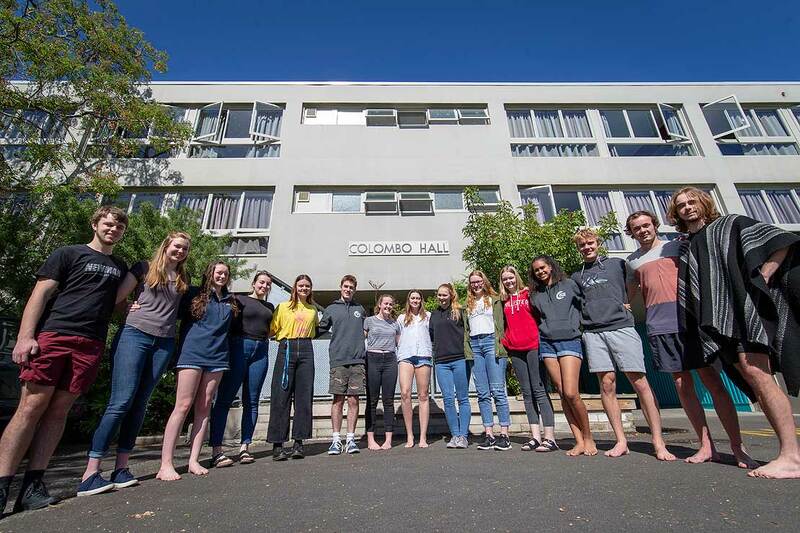 New Zealand’s first purpose-built student hall of residence constructed for Colombo Plan students, Colombo Hall at Massey University’s Manawatū campus, is in line for official heritage status. It was built to house international students studying under the Colombo Plan and opened in 1964. New Zealand was a signatory to the Colombo Plan, created after World War II in an effort to thwart the spread of communisim in Asia and raise living standards. Along with offering direct aid, New Zealand also provided expertise and training opportunities to students from India, Pakistan and Sri Lanka initally, and later, Cambodia, Indonesia, Laos, Malaya, Myanma, Nepal, the Phillipines, Thailand, Vietnam and Singapore. By 1961, nearly 900 students had travelled to New Zealand during the past decade under the plan. Heritage New Zealand has put forth a a proposal to enter Colombo Hall on the New Zealand Heritage List, Rārangi Kōrero – a proposal that is supported by Massey. In an effort to strengthen the proposal, Heritage New Zealand is seeking to hear from those who formerly lived in or have a strong connection with the hall. 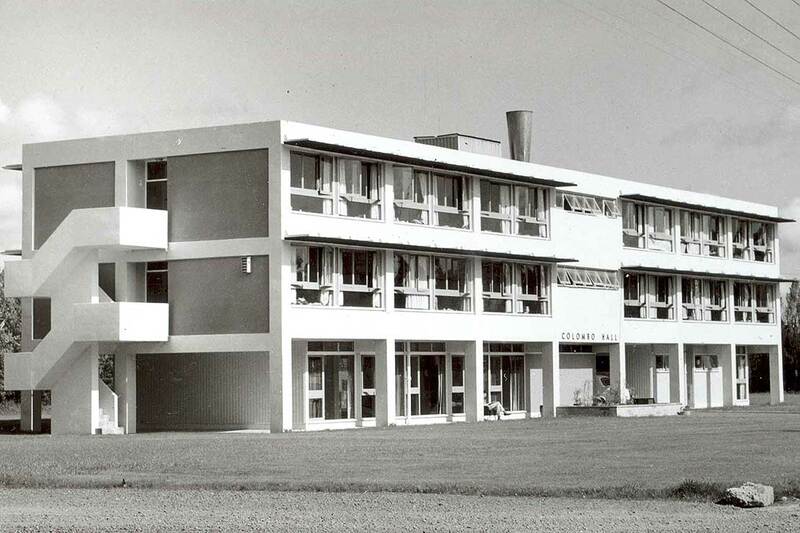 Plans for the three-storey building, which is an example of late New Zealand international modernism architecture, were first announced in 1960 by the Government of the time in an effort to meet the growing accommodation needs of international students studying at Massey as part of the Colombo Plan. It was constructed by the Ministry of Works between 1962 and 1964 and officially opened on March 4, 1964 by then Prime Minister Keith Holyoake, with the High Commissioner for India, VK Ahuja, Palmerston North MP William Henry Brown and government architect and designer Fergus George Frederick Sheppard, in attendance. Massey University Vice-Chancellor Professor Jan Thomas says the University is pleased to be supporting Heritage New Zealand’s proposal, given the hall’s significance to the University, the region and to New Zealand. “In its early years, Colombo Hall played an important role in housing international students,” Professor Thomas says. “These students added a great deal of diversity to campus and Palmerston North at a time when New Zealand wasn’t nearly as multi-cultural as it is today. At the time of the hall’s construction, more than half of Massey students resided in private, off-campus accommodation, with a shortage of suitable accommodation for both New Zealand and international students available in Palmerston North. 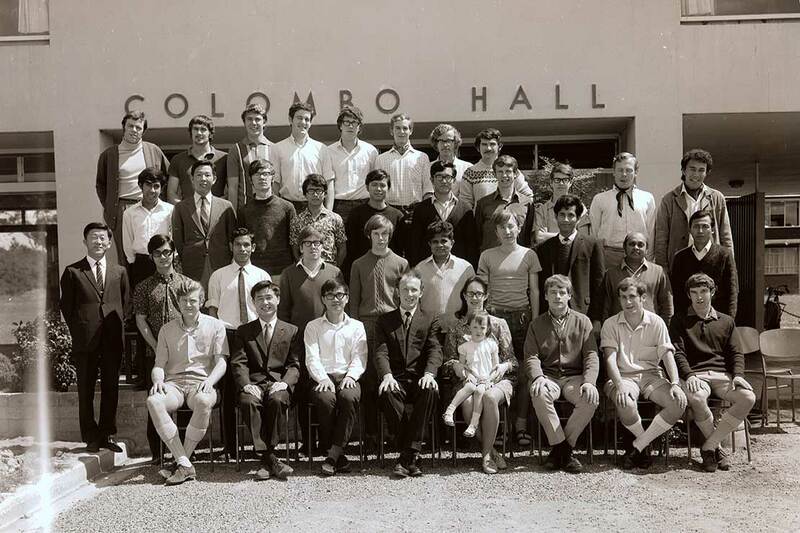 Colombo Plan students continued to reside in the hall until the early 1970s. By the 1980s, New Zealand had stopped taking Colombo Plan students. The only significant modification to the hall’s structure was made around 1984. In an effort to meet the increasing demand for accommodation from first-year students it was decided to extend the hall, rather than construct a new hall of residence. Today, the hall is open to New Zealand and international students, accommodating up to 70 each year in single-occupancy rooms. Heritage New Zealand wants to hear from any former residents or those with a connection to the hall by November 26. Submissions should be sent to Heritage New Zealand central region area manager Karen Astwood: kastwood@heritage.org.nz. Massey Alumni Relations manager Cassie Rowe is hopeful that former residents will share their memories. “Since it’s construction, we estimate that more than 3000 students have resided in Colombo Hall, many of whom were international students. That’s a huge number of personal stories, experiences, photos and memories and we’re hoping our alumni will be kind enough to share them in order to provide a ‘human touch’ to the proposal,” she says. 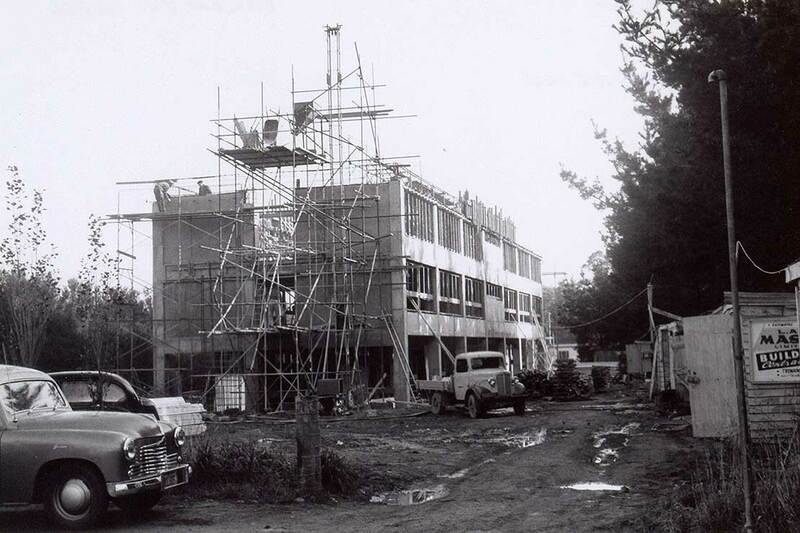 The construction of the hall was part of a phase of major development at the campus – and significant growth in the University – between 1963 and 1971, with the Riddet Building opening in 1966 and the Student Centre in 1968.